Filed to: Touchdown!Filed to: Touchdown! Sony has announced the next version of their baseball franchise, MLB 09 The Show, revealing new features for the series including the ability to record your own crowd chants. Hilarity ensues. Along with a host of returning features from previous iterations of the series, MLB 09: The Show introduces several new innovations in the area of sound that should make the game a bit more interesting for those of us not normally inclined to play a baseball title. Innovations like the new Custom Music feature, that allows players to create their own walk-up tunes via their own MP3s. Nifty, but not as nifty as being able to record your own chants that integrate into the ambient crowd noise. Imagine all of the crass, vulgar statements you've ever wanted to hurl at the opposing team. Now imagine everybody chanting them. So much potential. "Touchdown!" "Go fiberglass!" "Mayonnaise!" 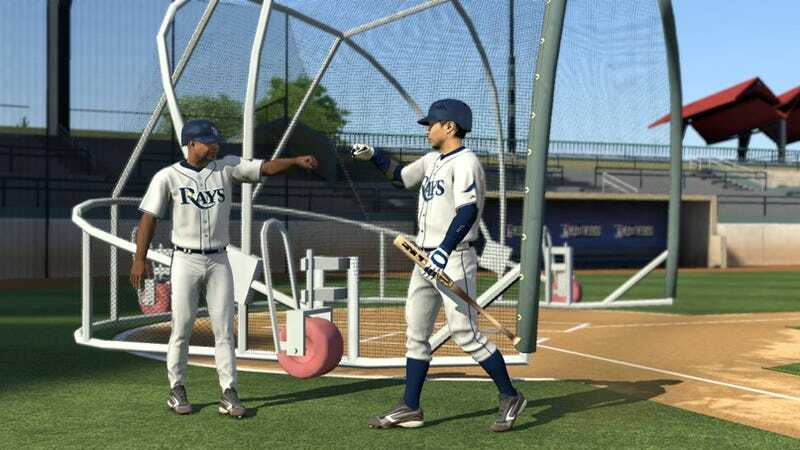 Check out the press release for a whole list of the new features coming to MLB 09: The Show, due out for the PlayStation 3, PSP, and PS2 in time for Spring Training. FOSTER CITY, Calif., December 22, 2008 - Sony Computer Entertainment America Inc. (SCEA) announced today the North American release of MLB 09 The Show™ available for PLAYSTATION®3 (PS3™), PSP® (PlayStation®Portable), and PlayStation®2. MLB 09 The Show will arrive in stores in time for Spring Training as the longest running, officially licensed baseball title, delivering true-to-life gameplay, deeper franchise and season modes, and incredible detail not found in any other title. Exclusive for PlayStation 2 is the unrivaled “Player Creator”, providing users with endless possibilities for creating players, including everything down to their player’s face with EyeToy®. Users can also adjust their personal rituals, swings, and even emotions as they create and place themselves in the heat of a pennant race.